Bronx residents and organizations have united to revitalize everything from jobs and schools to housing and the environment. In the Bronx, #Not62 is a rallying cry. The Twitter hashtag carries news about a back-to-school health fair. A yoga demonstration. A 10-mile road race. A bumper pepper crop at outdoor markets. A warning against sugary soda. An endorsement for breastfeeding. All across this New York City borough, people know what the “62” stands for and are determined to change it. For the last six years, the Robert Wood Johnson Foundation and the University of Wisconsin Population Health Institute have measured the health of nearly all counties in every state by comparing factors that affect health, including smoking, high school graduation rates, unemployment, physical inactivity and access to healthy foods. And every year, the Bronx has come in last: 62nd out of 62 counties in New York. Policymakers, health care professionals, nonprofits, and individuals across this borough of 1.4 million people have united to revitalize every facet of community life, from jobs and schools to housing and the environment. The common denominator across these efforts is better health. 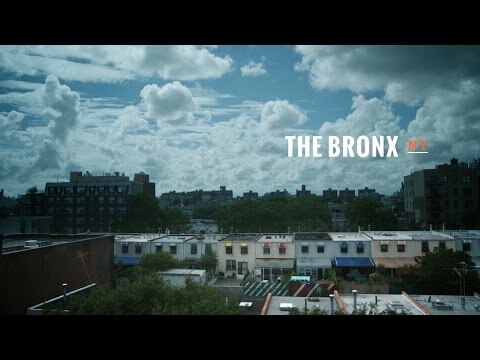 Whether it’s increasing access to healthier foods in local restaurants and bodegas, cleaning up the Bronx River, redeveloping neglected neighborhoods, or connecting more children and vulnerable populations to health care and social services, leaders of all stripes have joined in the fight for a better Bronx. After the first County Health Rankings in 2010 revealed the last-place status, Rivera teamed with Bronx Borough President Ruben Diaz Jr. to launch the Bronx Change Attitudes Now (CAN) Health Initiative. “There's a mindset that we have to change in terms of how we approach health, how we approach what we eat, and how we do it collectively as a community,” Diaz says. Some of the CAN tips are simple—taking stairs instead of the elevator, or eating fruit and vegetables regularly—but the hope is that small, individual behavior changes combined with community-wide policy and program efforts will lead to large improvements. A family at a booth during the Boogie on the Boulevard event in the Bronx, N.Y.
From the rooftop garden of the New Settlement Community Campus in the Mount Eden neighborhood, it’s hard to imagine the bad old days of the Bronx. The scene today is one of progress and hope. Across Jerome Avenue, where the No. 4 subway rumbles above ground, the New Settlement nonprofit has renovated a row of 14 derelict buildings into apartments for more than 800 low-income families. On the avenue’s west side, children stream in and out of a new $100 million building. They take swimming lessons in a state-of-the-art pool; learn how to dance or how to cook healthy meals; or tend gardens with vegetables, herbs, flowers and even a pair of small apple trees. During the school year, more than 1,000 students attend three public schools that are attached to the campus. This one block epitomizes “The Bronx is Rising” reality that is taking hold. With more than 40 percent of children living in poverty and a higher jobless rate (7.7%) than New York City (5.6%) the Bronx has many areas that are still recovering from decades of housing policies that intentionally segregated neighborhoods, separating black from white and the wealthy from those in poverty. This, coupled with many other social and economic forces, created health barriers that have been generations in the making. But several indicators of health in the borough have been improving—some recently and some over time—according to Amanda Parsons, vice president of community and population health for Montefiore Medical Center, the Bronx’s largest health care provider. A girl hula hoops in the street during the Boogie on the Boulevard event in the Bronx, N.Y. Girls cheer on a performer during the Boogie on the Boulevard event in the Bronx, N.Y.
A Bronx resident rides his bike through the street. Some of the youngest residents are leading the charge to promote healthy eating. At the Mary Mitchell Family and Youth Center, which runs afterschool and summer programs in the Crotona neighborhood, members of its Teen Council receive nutrition education from a dietitian affiliated with St. Barnabas Hospital. In turn, the teens share this knowledge with younger children and even lead activities, such as trips to farmers’ markets to try new fruits or vegetables. The Teen Council also works with local restaurants on Tremont Avenue to encourage owners to serve healthier items. “A lot of people don’t know what they eat may be bad for them,” says 13-year-old Andy Fernandez, a Teen Council member. “I try to get them out of their bad habits.” He convinced a relative to cut back on soda, educating her about the link between sugary drinks and the risk of diabetes. Everyone in the Bronx, it seems, knows someone with diabetes. For New York City Councilmember Ritchie Torres, that includes his mother, grandmother and uncle. In the Fordham and Bronx Park neighborhoods, which he represents, nearly 15 percent of the population is diabetic, the highest rate in the city. “You have an epidemic quietly and undeniably devastating our neighborhoods,” he says. To address the problem of obesity, several health care and community organizations are partnering with New York City’s department of health to increase the sale of healthy foods in local corner stores. Montefiore is using patient data to identify neighborhoods with both a high concentration of obese residents and corner stores that typically don’t carry fresh, healthy foods. Bilingual Montefiore staff is working with nearly 40 store owners in multiple neighborhoods to encourage them to stock and promote healthier food using a curriculum created by the local health department. Neighborhood groups, in turn, are being asked to pledge support for those grocers. In addition, the Institute for Family Health (IFH)—one of the largest community health centers in New York State—has partnered with the Bodega Owners Association and local community organizations to work with bodegas in the south Bronx. IFH is educating bodega owners on best small business practices that include selling and marketing healthy foods in their stores. Since 2012, Urban Health Plan has successfully partnered with numerous local bodegas to increase the sale and marketing of healthy foods. Making it easier for Bronx residents to eat healthy food is only one piece of the health puzzle. Across the borough, coalitions have come together to tackle everything from increasing access to open green space to addressing chronic diseases and disparities in access to health care. The Bronx River Alliance is reviving and reclaiming the once-neglected waterway. The 23-mile river runs from upper Westchester County through the heart of the Bronx, where it eventually meets the East River and Long Island Sound. The alliance is leading a strong grassroots effort to create the Bronx River Greenway, a system of parks and trails along the entire length of the river. A new addition is a waterfront park with a boat launch that is set amid the remains of a former concrete plant. Over on the East River, South Bronx Unite—a coalition of residents and organizations working to improve conditions in their neighborhood—is advocating for more waterfront access. Today, all that passes for open space in the Mott Haven and Port Morris sections of the Bronx is a trash-strewn stretch of rocky riverfront. Another community-based coalition, South Bronx Rising Together, focuses on the connection between education and health. Supporting the needs of children from “cradle to college,” physicians, educators, public health experts and community organizers work from the evidence-based premise that unhealthy students are less successful in school. In the Bronx, that especially means tackling asthma. Asthma rates in the South Bronx are more than double the overall rate in New York City. “Asthma is a health issue that contributes most to chronic absenteeism from school,” says Elizabeth Clay Roy, co-director of South Bronx Rising. The coalition analyzes asthma “hotspots” in neighborhoods where rates are particularly high. Using city and hospital data like a scalpel, they pinpoint buildings with multiple housing code violations; “311” emergency calls about rodents, which can trigger asthma episodes; and a high concentration of asthma sufferers with recurring emergency room visits. The coalition understands that it’s not enough to simply collect the information; they act on it by targeting outreach and services in those particular buildings. The group brings medical providers into the community to speak with parents where they live about prevention tips; those providers provide free testing for at-risk kids and direct families to city services. Community members of all ages gather for an interactive swim class at the New Settlement Community Center pool in the Bronx, N.Y. Teens prepare a salad for elementary school kids in a cooking demonstration at the New Settlement Community Center's summer camp in the Bronx, N.Y.
Students from the New Settlement Community Center summer camp in the Bronx, N.Y. look at their growing vegetables on the rooftop garden. With the enormity of health challenges in the Bronx, health care providers and community partners are teaming up to methodically and innovatively change lives. An effort to increase HIV testing and care is a case study in how collaboration can have a massive impact. In 2008, the borough launched a large-scale public health campaign called, “Bronx Knows.” Medical providers worked with non-clinical partners such as schools, faith-based institutions and nonprofits to raise awareness about HIV, expand HIV testing locations and direct new patients to critical care. By 2011, more than 600,000 people in the Bronx had been tested (more than double the initial goal of 250,000), and more than three-quarters of newly diagnosed patients were directed to treatment and care. This success led the New York City health department to expand the program citywide in 2014. You can see the difference in homeless outreach, too. Every night, BronxWorks, a social-services provider, has staff out on the streets to engage with homeless people, offering them permanent housing and supportive services such as counseling and benefits assistance. Montefiore, meanwhile, works to place patients with no permanent place to live in stable housing. Social workers then follow up over many months to make sure people are adhering to discharge plans, or to see whether they need other assistance to create a secure living situation. That at its core is the gist of #Not62. It’s about everything, not just some things. It’s also a declaration of strength, a sign of unity and a testament to the fact that this community—in the city that never sleeps—will not rest until good health is in everyone’s reach.